Great looking and great sounding! 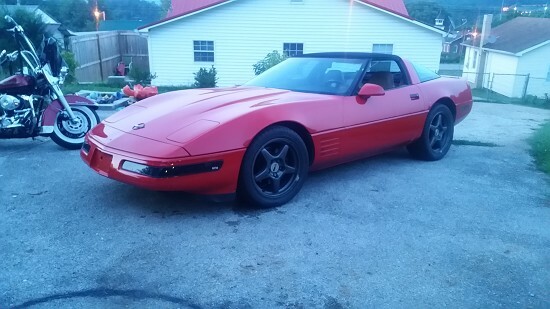 Nice clean 94 Chevy c4 corvette, automatic, LT1, leather seats, removable glass top, CD player. New tires, I also have 3 spare tires for it. Gets 29 mpg. New universals, new air filter and plugs, new shocks, new poly bushings in rear, new thermostat, heat and air work, new serpentine belt, tri-y headers, stainless exhaust with x pipe. I also have an electric water pump (old one still works), tuning software and hardware, and front poly bushings for it. Call/text 865.585.3019. May trade, clean and clear TN title, runs and drives.